Dennis R. Mooney is a graduate of Loyola University and the Loyola School of Dentistry in Chicago, Illinois. He served several years as a Lieutenant Commander in the United States Public Health Service, which brought him to Tallahassee, Florida. He opened the first and only Dental Clinic in the history of Wakulla County in 1975, after making the decision to care for patients in a rural shortage area, and has provided quality dental care for those patients ever since. Dr. Mooney served on the Board of Governors which brought the first Wakulla County Medical Center in Panacea, Florida. He was also the President of the first Wakulla County Humane Society. His commitment to his community, and to his patients, is unmatched as proven by more than 40 years of care to ALL people in Wakulla without discrimination. He works tirelessly to make your dental care his top priority. In his search to be able to deliver the most comprehensive care possible, Dr. Mooney has studied with national and international leaders in the Dental Community. He has compiled a long list of advanced education including Certification II in Invisalign. 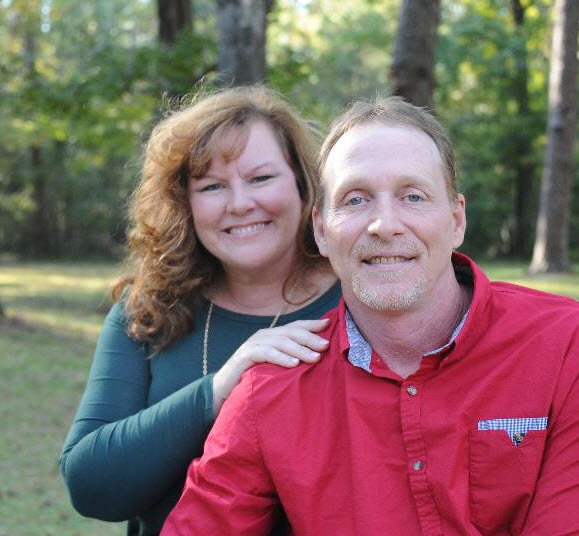 He continues to seek out the latest in advanced techniques to benefit his patients and responsibly brings the latest technologies to his unique practice in Crawfordville. Dr. Mooney is a FSU Seminole Golden Chief who loves to talk about Seminole football and basketball. He has been married to his wife Mary for 43 years and has one daughter, former Seminole Cheerleader Krista Mooney Kahn, JD, PhD. and 3 grandchildren, whom he also loves to talk about. Meet our Magic Hygienist! Sharon has been with us since graduating from Dental Hygiene School in 2000. She specializes in nervous patients, and is committed to the most up to date and effective techniques for maintaining oral health. She has also volunteered in the community by providing school dental screenings. Sharon is certified and trained in the most current techniques to gently return your mouth to optimal health including the use of local anesthetics. Sharon is dedicated to providing preventive care and educating her patients in a comfortable and friendly environment. She is wonderful with even the most nervous young patients, and even performs magic for their distraction and entertainment. Sharon is a lifelong resident of Wakulla County, and is married to Kevin Hines, and they have a beautiful little girl. Samantha Taylor is a hometown Crawfordville resident, and has been a part of Doc's chairside staff for 12 years now. She is sweet and friendly, a very skilled assistant and very experienced handling dental anxiety with both the younger & older sets. We know she will help you have a happy experience here!